The Chevrolet Camaro has a longstanding heritage which started back on June 28th, 1966. At this point the press asked “What is a Camaro?” They were told, “it’s a small, vicious animal that eats Mustangs”. The Camaro has been a muscle car from day one. The Chevrolet Camaro was relaunched in 2010. This is the 5th generation of Camaro. Therefore, it is built on what is regarded as one of the world’s best performing platforms. In addition, it is powered by GM’s current range of V6 and V8 engines. 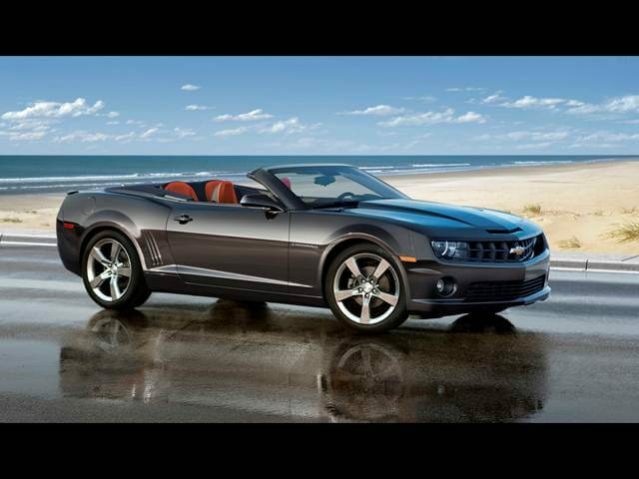 It is also offered as a 2 door coupe from 2010 and soft top convertible from the 2011 model year, the body design exudes muscle and turns heads. The Chevrolet Camaro comes standard with a 3.6ltr (271ci) V6 engine that produces a modest 304hp. It also has an optional 6.2ltr (376ci) small block alloy V8. This produces up to a whopping 426hp in factory standard form. It is available with a choice of either a 6 speed automatic or manual transmission. As a result, there’s a driveline package to suit your tastes. First released in Australia in 2012 was the limited edition Chevrolet Camaro ZL1. It is a factory supercharged, intercooled 580hp/432kw monster. Therefore, it will instill fear into the heart of Mustangs and HSV’s. As well as Chargers and Sports cars across the world. Sweeping design accommodates airflow in this performance masterpiece. Furthermore, it is equipped with a host of upgrades. These include a new 6th generation supercharger and water to air intercooler. As well as Brembo brakes and electronically assisted power steering. Plus magnetic ride control and massive 20×10″ front wheels. In addition, it is backed up by a ridiculous 20×11″ set of rear wheels. Therefore, it is a must have for any Camaro fan. First released in 2010 was the Transformers Edition. It has been revamped for 2012. It now includes black stripes that spread across the bonnet, roof, boot lid and rear spoiler. As well as 20-inch black-painted alloy wheels with high performance tyres and Autobot shield logos on the wheels and front quarter panels. Inside, the Camaro features black leather with yellow stitching across the instrument panel, centre console, armrests and seats. Autobot shields are also embroidered on the front headrests and centre console lid.